I cringed when Matt Damon mocked the line spoken to him by Robin Williams in Good Will Hunting. It was Saturday Night Live and who could blame Mr. Damon for mocking the line, “It’s not your fault…?” But the scene in the movie depicted a therapist, played by Robin Williams, as bringing freedom and life to the very gifted, yet troubled genius of a man when he spoke those words to Will (Matt Damon). When I had first watched Good Will Hunting, my experience in life and as a psychologist had prepared me to appreciate the splendid acting by Robin Williams as he delivered those words. 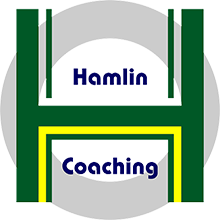 So often those words, “It’s not your fault…” become the turning point in therapy, lifting mountains of misplaced shame off of the shoulders of a man or a woman. And so today, when I heard the news about the apparent suicide of Robin Williams, I could not help but think about the tragic irony of Mr. Williams, himself a genius, succumbing to the dark illness of depression. Robin Williams was endowed with a brilliant sense of humor that was as awe-inspiring as it was powerful to induce deep belly laughter from millions of people. It was manic with the kind of control and focus that makes that kind of manic energy completely and utterly attractive, if not adorable. But he suffered. He suffered with addictions. He suffered from the kind of depression that is dark enough to create unspeakable misery for the bearer of such giftedness. 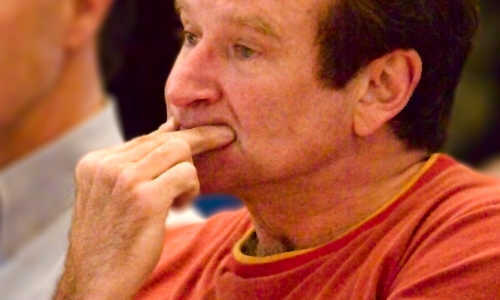 And so I find myself asking, “What does Robin Williams have to teach us?” How can we honor his memory and his work? For me, Robin Williams will always stand as a reminder of the gift of laughter and humor. How many people in awful moods have sat down to watch one of his many performances only to have their outlook transformed by the sheer force of his tsunami of wit and humor? However it was that he managed his own internal demons of addiction and depression, he gave so many people a very pleasurable glimpse of just how funny we all really are…when we are not taking ourselves too seriously. When I think of how often depression accompanies amazing gifts of genius, it makes my head spin. Names like Abraham Lincoln, Mark Twain, and Winston Churchill come to mind. I think of people whose enviable brilliance is only matched by the loneliness of their journey through extreme emotional pain. Note to self: before you give yourself to jealousy of someone’s special gift, remind yourself that you really don’t know what else they have to deal with in life. The apparent suicide of Robin Williams should shake us out of our self-made comfort zones in which we imagine that depression is not real and that it can’t touch “our kind of people.” It should make us talk more and deny less. It should make us encourage each other to get professional help when we are stuck. It should make us more willing to talk to friends and family in a way that normalizes the fact that the human brain is a physical organ that has things go wrong with it…just like every other organ in the body. 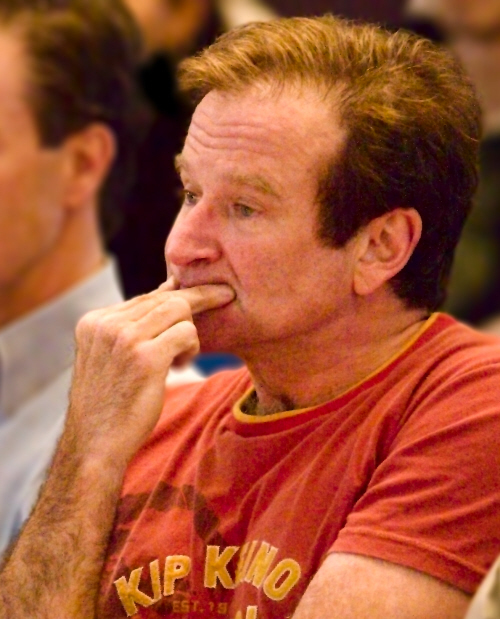 So Robin Williams teaches us that we can laugh with intensity that we never thought possible. Indeed, we must laugh. We can all become better at letting our hair down and laughing out loud. But we must also be vigilant for ourselves and each other, knowing that depression is a very real ailment of the brain and it can kill the best of us. We must care with a seriousness that can only be survived if we laugh our way through it.